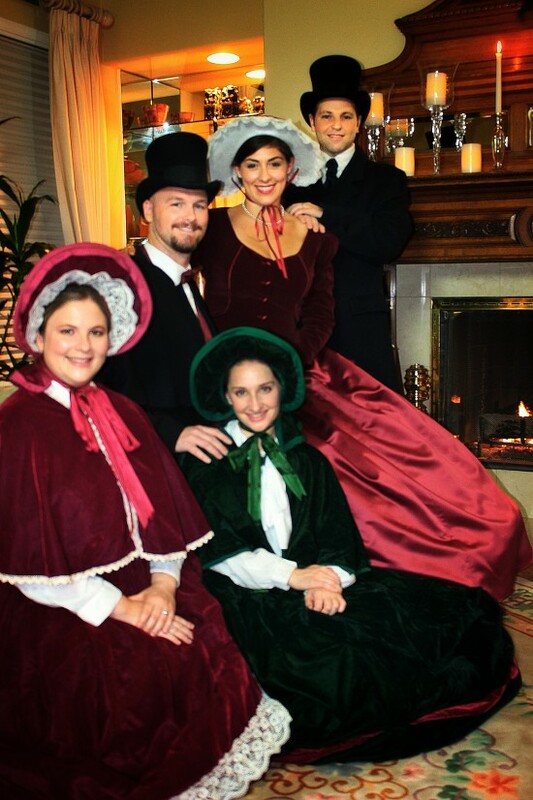 The Fireside Carolers are South Orange County's Premier Dickens A Capella Caroling Group and have been making the holidays merry and bright since 2010! 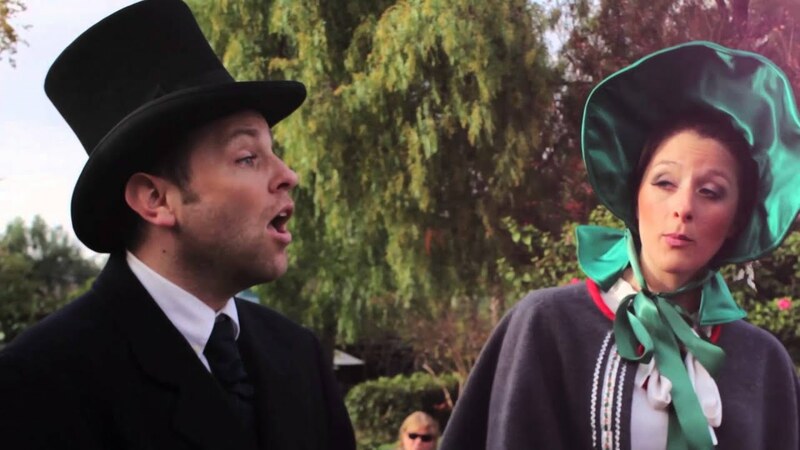 We arrive in festive Dickens attire and sing a wide variety of all of your holiday favorites. From vocal jazz to traditional arrangements of classic Christmas carols, we have something for everyone. Let us help make your holiday party an event to remember for years to come! Contact us for affordable pricing and visit our website for sound clips, video clips, and more information. Merry Christmas! I stumbled upon this group while shopping at the Shops at Mission Viejo. They definitely put me in the Christmas spirit while I was shopping. They asked if I had a request to which I offered "White Christmas" and their arrangement took me back to when I was a kid growing up back east. As a musician myself I was listening with a bit of a critical ear and they did not disappoint. They were very professional and fun. Book this group! This very talented singing group performed at our Holiday event. There was a wide variety of traditional and contemporary carols,popular holiday favorites. Each and everyone of the performers are so talented. All our guests thoroughly loved it. This is our second year welcoming back the Fireside Carolers! They do an amazing job every year and have become a tradition to our annual holiday party. They are all professional, courteous, friendly and talented and a wonderful addition to any holiday event! Thank you again for another great performance! See you next year! I have only the best and higest regard for these very talented and innovative singers. Everyone should be clamoring to book this group. Erin and her singers were extremely professional both on the business end as well as performers. I would highly recommend them for your holiday party! My family and I frequently visit the Historic Los Rios Street in San Juan Capistrano to walk around, see the train, visit Zoomar's Petting Zoo, etc. We were pleasantly surprised to see this caroling group performing there one weekend. Not only do they look beautiful in their period costumes but they sound absolutely amazing. They were sweet enough to give my daughter and son a candy cane and asked them what their favorite Christmas carol was. When my daughter said "Rudolph the Red-Nosed Reindeer" they sang a very fun version that my kids loved. They were the kids' favorite part of that day... a special memory for them. This group was fantastic! We saw them perform at the "Christmas At The Mission" event at the San Juan Capistrano Mission. All of them had such beautiful voices, and combined with their festive Dickens costumes, really helped make the holidays alive. They sang my favorite Christmas song "O Holy Night", which was amazing! I hope they will be at this event next year! I saw this Caroling group one morning last season while enjoying breakfast in the Dana Point Harbor! They sounded fantastic and brought a great energy and happiness to the entire restaurant. I would love to hear them sing again! We arrive just prior to our start time. For any performance lasting longer than an hour we will take a 10-15 minute break on the hour, depending on the situation, and a 30 minute break after every 3 hours. If you have any further questions about our performances please contact us. 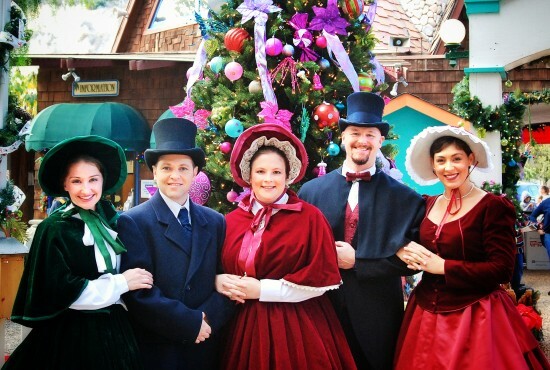 The Fireside Carolers have taken Orange County by storm and have quickly become Orange County's premier group for holiday entertainment! Formed in 2010, we are pleased to be entering our third Christmas season. We are proud to say that we are Orange County's only professional caroling group where all the members are locals. Moreover, our group features the same five professionally-trained singers at each event. You will always see Erin, Tom, Stephanie, Thomas, and Danielle! 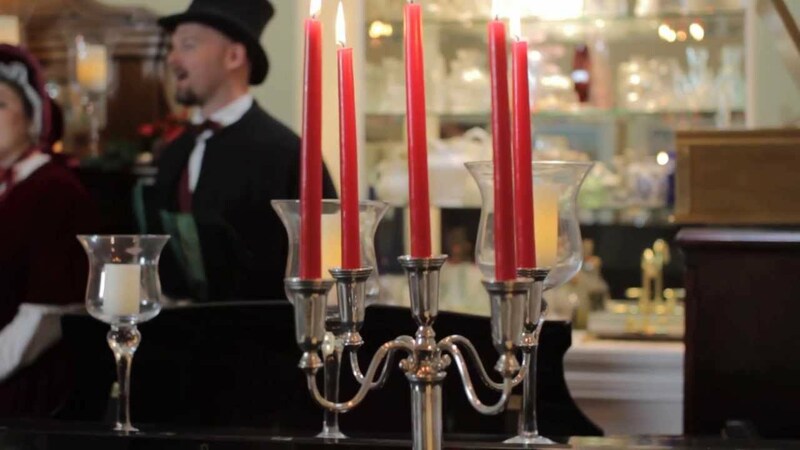 Our festive Dickens attire and wide variety of arrangements of all your holiday favorites make The Fireside Carolers the hit of every party! If you are considering having a holiday party, large or small, please let us help make your party an event to remember. Contact us for affordable pricing and please visit our website for sound clips, video clips, and more information about our group. We hope to spread our holiday cheer to you and your guests! We do not come with any equipment. If amplified sound is needed, you will need to provide it.